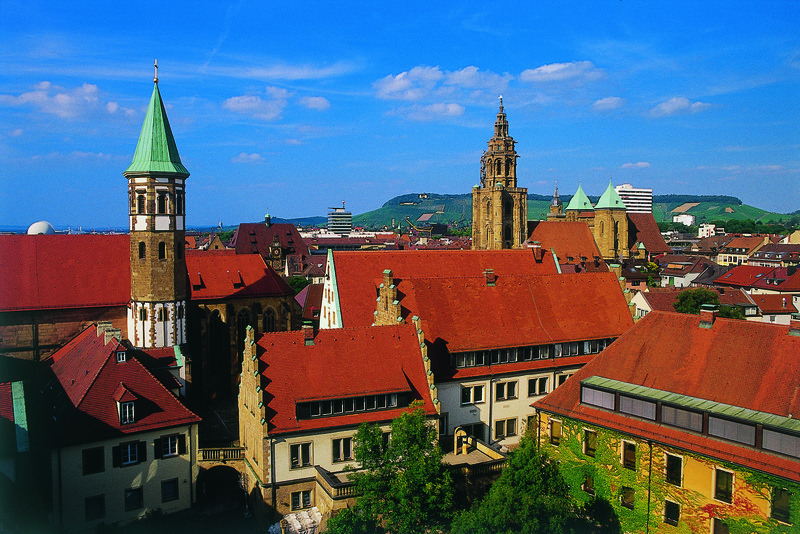 Heilbronn is located in a region which is an ideal blend of nature, culture and history: the Heilbronner Land. The region is outstanding for its valleys and hills, extensive vineyards and historic sites offering picturesque views and buildings. Heilbronn itself is situated on the River Neckar, which is the city’s lifeline. Some important historic buildings survived the war, others were restored later. Even today they are important features of Heilbronn’s cityscape. Heilbronn is an attractive trading centre with a balanced mix of owner-managed speciality shops, reputable chain-stores, well-assorted department stores and new shopping centres, like the Stadtgalerie Heilbronn with its more than 75 shops. Detailed information about the city of Heilbronn is available from the pages of Heilbronn Marketing GmbH. The area around Heilbronn also has its idylls and highlights and is made for leisure-time activities. Just outside Heilbronn is North Wuerttemberg’s largest bathing lake, the Breitenauer See. In the district around Heilbronn one meets history at every turn: there is, for example, the remains of the Roman limes with its forts, the former Wuerttemberg Dyke or the many castles and manor houses along the way. Detailed information about the Heilbronner Land is available from the pages of Heilbronner Land Tourist Association. Only 10 km from the “zum Rössle” hotel and restaurant is the unique town of Bad Wimpfen, whose historic Old Town is one of the best-preserved city centres in South Germany and is therefore in its entirety a protected site of historical interest. Bad Wimpfen is impressive both for its health cure facilities and its wealth of architectural and art monuments going back two thousand years. Detailed information is available from Bad Wimpfen City Council. It is worth paying a visit to the Sinsheim Auto and Technology Museum, which is situated about 30 km from our hotel. In over 30,000 m² of hall space and 50,000 m² of total exhibition space you can see 300 vintage cars, 200 motorcycles, 60 aircraft, 40 sport cars and 20 locomotives. Set up high above the roofs of the museum are a Concorde and a Tupolev, which can be seen from some distance away and can also be admired from inside. 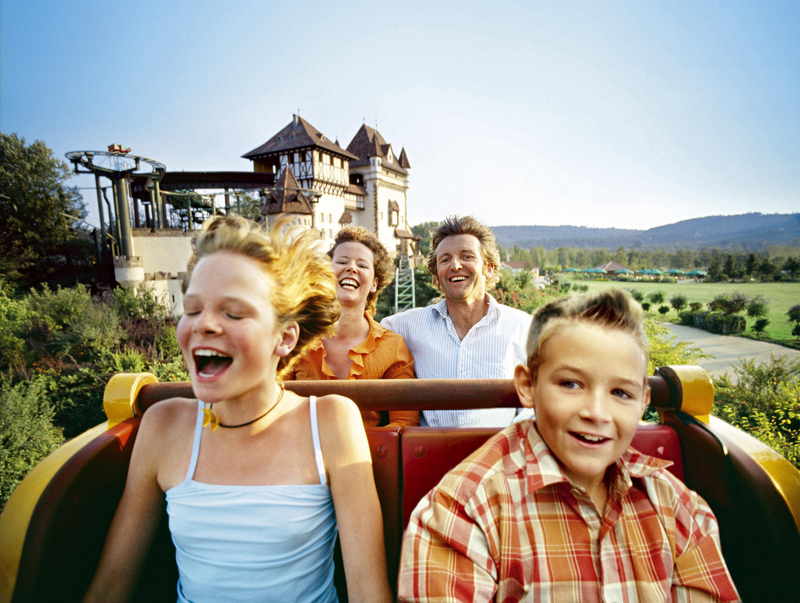 Set amid the Stromberg-Heuchelberg Nature Park, Germany’s oldest pleasure park, and a bare 20 kilometres from Heilbronn-Frankenbach is the Tripsdrill Adventure Park. Laid down in 1929, the park covers an area of more than 44 hectares and offers 100 attractions for grown-ups and children alike. Since 1972 the park has also included the 47-hectare Tripsdrill Animal Paradise, which is home to 130 animals, from birds of prey through tame roe deer to wolves and brown bears.